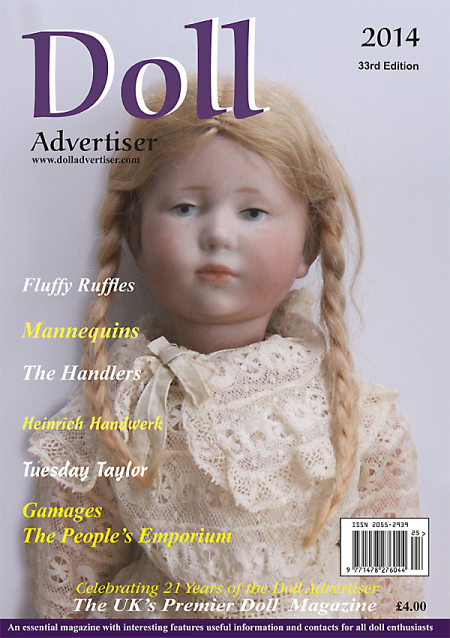 The 38th Edition of the Doll Advertiser is now available. 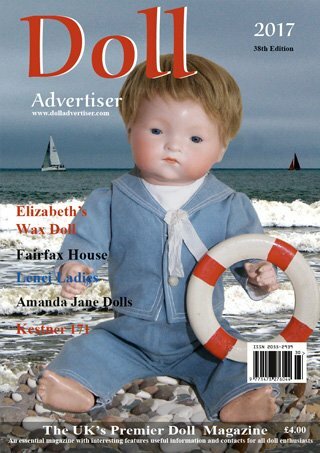 There are many interesting dolls in this Edition from antique wooden to the very latest art dolls. 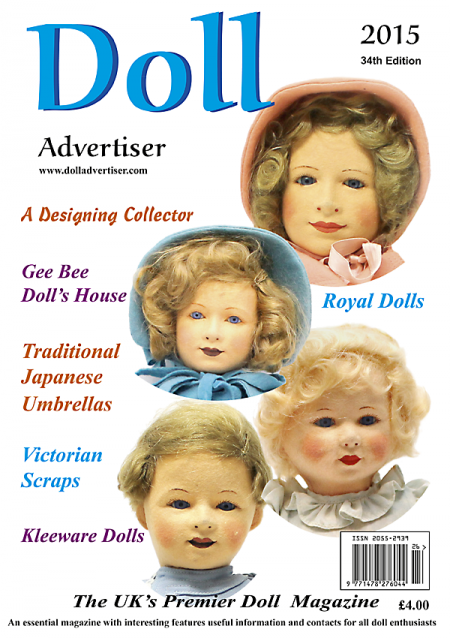 Wooden dolls are extremely rare and only come up in auctions once in a while….and of course you need bags of money to acquire these….. (or even like them)!! 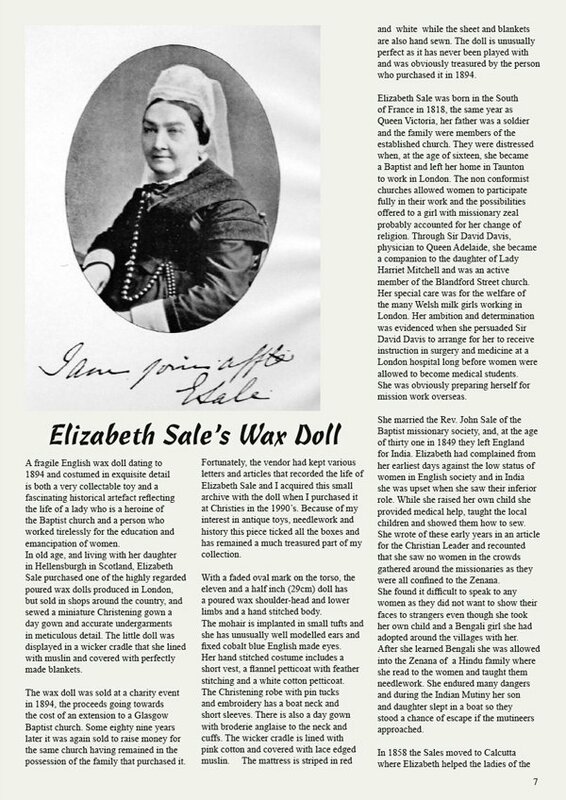 A lady who had remarkable courage and gained such achievements in her life was Elisabeth Sale. 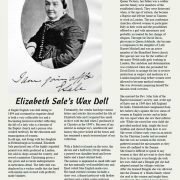 Her wax doll of 1894 was kept in its original condition all these years and now belongs in the collection of Constance King. 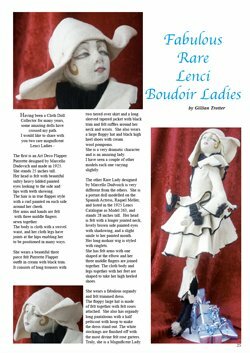 The 1920’s Lenci Boudoir Ladies and Dressel & Kister Half Dolls are now thin on the ground and seem impossible to find. 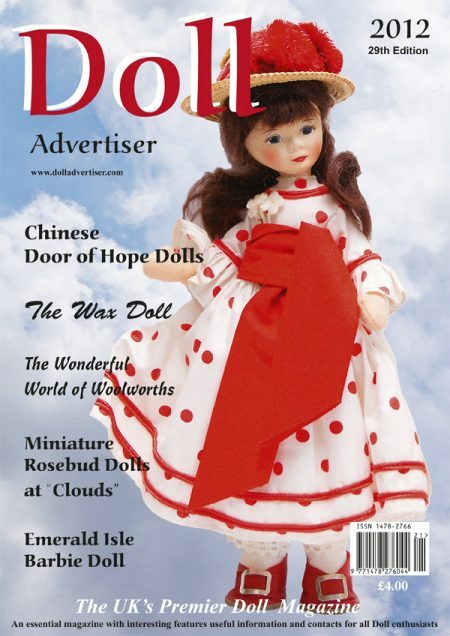 Still going strong are Amanda Jane and Paper Dolls. 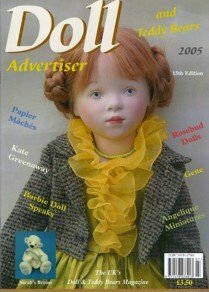 As for Barbie, she is just never ending! 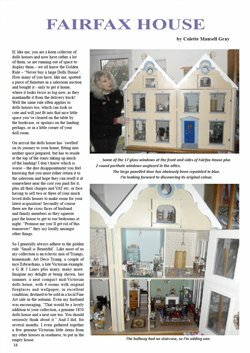 For people who collect dolls houses, make sure you are able to accomodate these before buying as Colette Mansell soon found out…. Don’t forget to enter the Picture Competition, those chocolates might tempt you, even though it’s just a puzzle!.